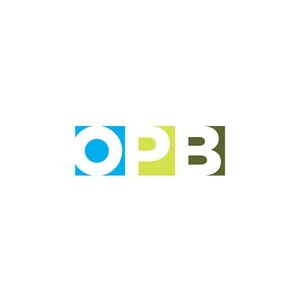 by OPB Staff OPB Feb. 4, 2019 7 a.m. | Updated: April 1, 2019 10:10 a.m.
Is the idea of “artisan dairy-free cheese” an oxymoron? Which—if any—sugar alternative is best? And how do food pros with medical conditions make restrictive diets work? 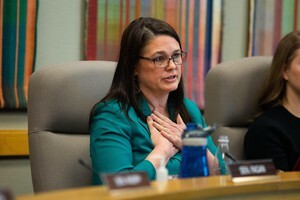 Listen to Episode 59 from April 1, 2019. Subscribe to “The Four Top” on NPR One, Apple Podcasts or wherever you find your podcasts. Join us on Facebook at Facebook.com/TheFourTop and tweet at us at @The4Top. Savor the conversation. The first Monday of every month, a roundtable of culinary media insiders discuss today’s hot-button topics in food and beverage culture. Hosted by Katherine Cole. is the case against sugar cane, and which of the dizzying array of alternatives is best? And finally, we hear from a nationally acclaimed pastry chef whose diet is restricted due to her medical condition. Episode 59 of The Four Top is online from April 1. In our “feast for the senses” episode, we explore how sensory stimulation affects our food and beverage experiences. First, the music you hear in restaurants and grocery stores has changed significantly over the past decade. Next, as recreational marijuana becomes legal across the country, what’s the deal with CBD showing up in restaurants? And would you pay more than $1,500 to experience an augmented reality dinner? Pescetarianism is the world’s fastest-growing diet. Can the planet’s oceans handle this shift? And should we be concerned about where our salt is sourced from? Finally, let’s get to know sake, the misunderstood Japanese rice wine. Have you heard about the bivalve everyone is buzzing about, the Olympia oyster? 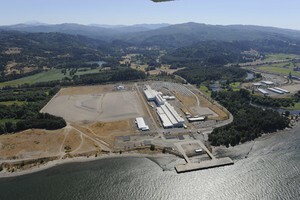 What exactly is an “organic” fish farm? 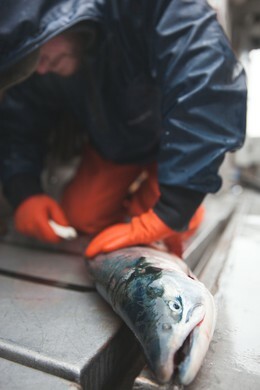 And how are Dungeness crab fishermen fighting Big Oil to solve the problem of climate change? While doctors deem the veggie-heavy, whole-grain Mediterranean diet as a long-term lifesaver, athletes still carbo load on refined grains. How can these two philosophies coexist? And should we be suspicious of grab-and-go protein bars? Finally, it might be time to replace your lunchtime sandwich with a whole-food bowl. As we finish up harvest season, we discuss food, fall, and farming. What’s new about the mighty root vegetable, the beet? What developments are we seeing in the science of perennial crops? And as America’s agriculture footprint continues to grow, how might the current administration’s tariffs affect large-scale farmers here? In our second anniversary episode, we’re connecting the dots between food, drink, and human interactions. What is it like to become a food celebrity? How can we utilize food to keep our relationships healthy? And how can we lean on food and drink to make parties less awkward? Episode 53 of The Four Top is online from October 1. A new grocery store concept aims to educate communities about health and increase access to affordable, high quality food — will it succeed? What are the best food waste hacks for whittling down our grocery bills while eating healthfully? And could “Regenerative Agriculture” mitigate or even reverse the effects of climate change? Episode 52 of “The Four Top” is online from September 17. Could a career in the food or beverage industry be harmful for workers’ mental health? How do wine professionals stay healthy in a fairly unhealthy line of work? And why is a bar one of the most stressful places to work? Episode 51 of “The Four Top” is online from September 2. So-called “natural wine bars” are all the rage right now. Why? And what are the new, surprising wine-food pairing rules? Finally, who knew that eggs are sometime used to make wine? Episode 50 of “The Four Top” is online from August 20. At the height of summer, we discuss the surprising produce (and spices) all around us that will get us through the zombie apocalypse, the science (and potential risks) behind canning all that good summer bounty, and finally, the history of “putting up,” that is, preserving and canning, plus the war between Team Canning and Team Fermenting. Episode 49 of “The Four Top” is online from August 6. Learn about selective eating and food phobias, two lesser-known eating disorders afflicting children. Next, discover Little Sous, a new concept for turning kids into confident cooks. And finally, a cookbook author and food blogger fills us in on raising kids who are health-food junkies. Episode 48 of “The Four Top” is online from July 23. As robots become more of a reality in our everyday lives, how are they altering the agribusiness? Next, our discussion dives deeper, unpacking the inevitable friction between food and technology. And finally, we shift the tech talk to the beverage industry and talk high-tech wine. Listen in. Episode 47 of “The Four Top” is online from July 9. A simple fire might be the most primal cooking method, but there are still innovative ways to barbecue, according to our trio of experts. Next, jerky is suddenly ubiquitous and overpriced, but it turns out it’s easy to make at home — even from fish. And finally, has Steven Raichlen ever set his hair on fire on the set of one of his popular PBS cooking shows? Listen to find out. Episode 46 of ‘The Four Top’ is online from June 25. Will the wine industry be a victim of climate change? Next, how have the increasingly devastating wildfires that have hit vineyards recently affected the wines? And finally, we lighten the mood by asking why rosé must be limited to summer. Episode 45 of “The Four Top” is online from June 11. What made the love story of Julia and Paul Child so unique? 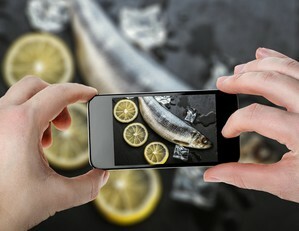 Next, what would photographer Paul Child think of today’s Instagram-food-photo craze? And finally, we discuss how we can all live life to the fullest à la the Childs. Do you act cordially at bars? Today’s high-end temples to mixology aren’t places for crude behavior, say our three cocktail craftsmen. Next, how are the best bars in the world designed for efficient flow and optimum pleasure? And finally, why are bars such expensive businesses to run? Episode 43 of “The Four Top” is online from April 30. Modern French pastry is a spellbinding art form, combining eye-popping colors with surprising textures, shapes and flavors. We discuss this exciting movement with a pro. Next, boutiques selling nothing but macarons are the latest trend in sweet treats. What do they say about this cultural moment? And finally, are over-the-top donuts done, and if so, what’s next in pastry? Episode 42 of “The Four Top” is online from April 16. Can culinary podcasts change the way society sees food? We think so, and so does Juan Ramirez, producer of the excellent “Racist Sandwich” podcast. Next, we discuss the ways in which different cultures discuss body image. And finally, we celebrate the culturally diverse yet all-American bodega. Episode 41 of “The Four Top” is online from April 2. First, a chef and a food writer give us the lowdown on truffles during this special episode recorded at the Oregon Truffle Festival. Next, we gab about other fab fancy food fests all over the globe. Our third course is a survey of our favorite foodie feature films, from “Big Night” to “The Joy Luck Club.” Episode 40 of “The Four Top” is online from March 19. Food magazines are shutting down at an unprecedented rate, but could there be new opportunities in this sector? Next, cookbooks are moving in a more classic, less celebrity-driven direction. And finally, we discuss ultra high-end, self-published culinary tome. Episode 39 of “The Four Top” is online from Feb 26. Cuisines from all over the world are readily available in every major U.S. city. So why aren’t the traditional foods of the First Americans? Despite centuries of systematic cultural suppression, American Indian chefs and historians are rediscovering and revitalizing pre-contact foods, and scientists are finding that indigenous edibles are healthier and hardier than mainstream crops. Then: Think twice before eating that cookie or donut, because palm oil is endangering our planet in more ways than one. Episode 38 of “The Four Top” is online from Feb 12. Episode 37 is all about coffee. First, our experts teach us to ride the “Third Wave” movement. Next, what’s a microroaster? How about a nanoroaster? And finally, we taste and talk about Guinness Stout’s caffeinated counterpart. Episode 36, recorded live at PodCon in Seattle, is a freewheeling look at beverage trends for 2018. 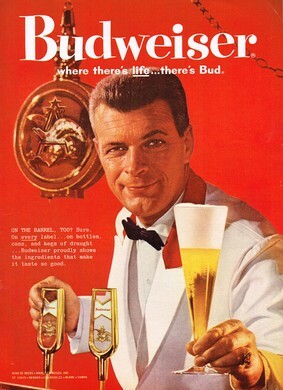 We kick things off by reminiscing about the faddish beverages of decades past that are ready to for revivals this year. 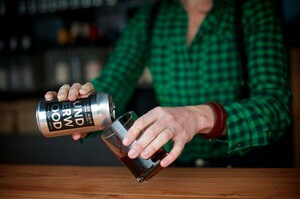 Next, we predict the drinks that will die this year. Finally, our three pundits share their personal desert-island drink picks. We kick off this three-course show by learning about the surprising ways in which the New Year is celebrated in Russia. Next, we’ll review the world’s best hangover foods. And finally, tongue is a classic stick-to-your ribs dish in many cuisines, so we get over our squeamishness and discuss. “Raw” cheeses are demonized, but could they be less harmful for you than raw fruits and vegetables? How are home brewers leading the backyard biologist movement? And those who work in artisanal food industries are asking themselves: Is the conversation between urban and rural communities broken? 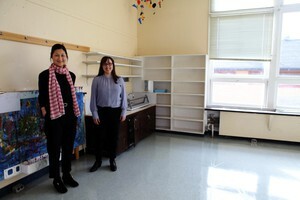 How did our guests build businesses selling candy, cupcakes and chronicles to adults? Next, what’s the magic formula for making a visual splash with a food startup? And finally, there’s a sense of tension in the American food scene, with raw veggies and decadent sweets simultaneously surging in popularity. 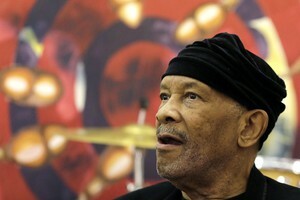 We discuss on Episode 33 of “The Four Top”, online from Dec. 4. Thanks to friendly legislation, the cider industry is booming across the nation. With food media increasingly fragmented, why are some brands staging live IRL events? Next, do you sous vide at home? And finally, what are food entertainment personalities really like when the cameras turn off? Did you know that the hospitality industry is the profession with the highest rate of substance abuse? What’s the deal with the new crop of beer spritzes, with names like Radler and Shandy? And finally, how did a brewery open in Flint, Michigan, during the toxic water crisis? We discuss on Episode 30 of “The Four Top,” online from Oct. 23. Ep. 29: Diners Gone Wild | Food Cart Backlash | Cannabis On Menus? 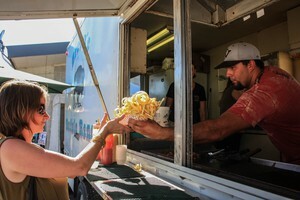 Cities and towns across the nation have started implementing laws designed to limit food carts on their streets. But do those policies help or hurt the restaurants they’re designed to protect? Why is Portland, Oregon, emerged as the vanguard of American food and beverage culture? Bananas are among the many endangered plant species millions of humans consume on a daily basis. 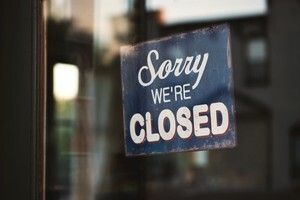 It’s easier than ever before to make reservations at your favorite restaurants, so why are so many restaurants still holding out? Episode 25 overturns mainstream thinking on nutrition. Should pregnant women really stay away from verboten foods? What’s up with the surprising new forms of faux meat? And what’s the dirty truth about “clean eating”? Our panelists pick these questions apart in Episode 25 of “The Four Top” from Aug. 14. In Episode 24, we overturn our assumptions about everyday things. What do you picture when you hear the word “salad”? What is a cookbook for? And what does the ideal kitchen look like? Hear our panelists’ surprising answers to these questions, and more in Episode 24 of The Four Top, online from July 31. Ep. 23: Au Courant Canned Beverages | Nudist Natural Wine | Nutrition Info On Booze? How can we explain the kombucha craze, and why are some people going to prison for selling it? What’s the mysterious Taiwanese concept known simply as ‘Q’? And get your politics out of my food, will you? As of July 1, 2015, recreational marijuana is legal in Oregon. Each person can carry up to an ounce of marijuana on them at all times. With more and more states legalizing it, foodies are putting marijuana in their pots. But according to “the Martha Stewart of Marijuana,” cooking with cannabis is not as easy as it looks. 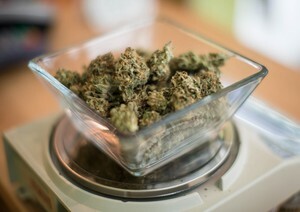 Next, does the growth of the ganja industry threaten restaurants and bars? And finally, we discuss the proliferation of alternative facts in food industry. Charcuterie is to die for, but can it kill you? From corner store to Costco, the grocery has changed over time. What’s the future of food retail, and how do today’s supermarkets deceive their customers? Next, the World Health Organization has warned us not to eat processed meat. 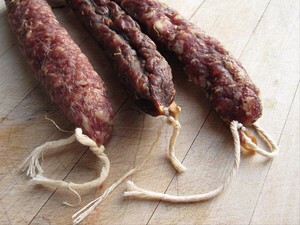 Does that mean we have to give up artisanal salumi? 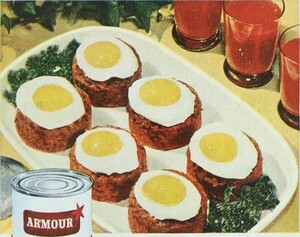 And finally, a couple of new culinary shows are taking the genre in a more serious direction. Our panel ponders these questions in Episode 20 of The Four Top, online from June 5. 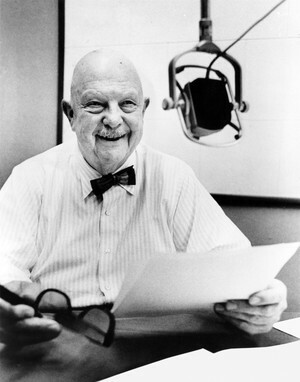 In this undated photo, James Beard sits for an interview at Reed College in Portland, Oregon. How many seasons are there in a year? Six, according to cookbook author Martha Holmberg and chef/”vegetable whisperer” Joshua McFadden. Holmberg visits our studio to fill us in on the two you didn’t know about. Next, we talk with Diane Morgan, who has traveled the world studying salmon, and we swap a few summer grilling techniques, as well. Finally, we discuss the lasting legacy of culinary legend James Beard with film producer Kathleen Squires. 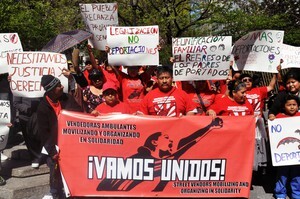 In this May 1, 2013, file photo, a coalition of immigrants groups, unions and Occupy Wall Street protesters in New York City protest restaurants and other low-wage businesses. Under the Trump administration’s immigration crackdown, some restaurants have declared themselves “sanctuary restaurants,” offering safe havens for migrant and refugee workers, as well as people of all races, genders, nationalities and religions. First, there were sanctuary cities. Now there are sanctuary restaurants. This fast-growing movement launched in January and is already making an impact. How can restaurants protect marginalized people? Our panelists discuss. Next, if you eat food in the United States, you are supporting an industry that relies heavily on undocumented immigrant labor. What are these workplaces and will the status quo ever change? And finally, the world’s top chefs increasingly hail from Peru. What are the secrets behind Peru’s culinary success? 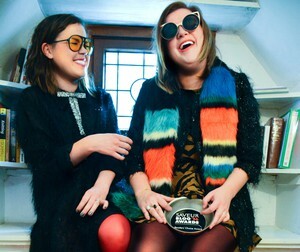 Caitlin Vanderklok, left, and Liza Rush’s deliciously less-than-perfect world of yourestillfat.com won the Reader’s Choice award for Best Humor Blog at the 2016 Saveur Blog Awards. 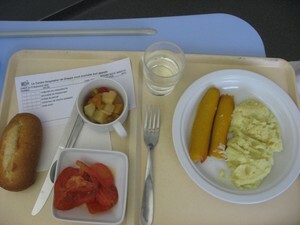 Pick your poison: hospital food or prison food. Restaurant owners may claim to be progressive, but are they benefiting from the policies of the Trump administration? Next: What’s the midway point between the boutique organic CSA and corporate Big Ag? The elusive and increasingly rare midsized American farm. Finally, is it the illness or is it the hospital food that’s making people sick? We diagnose the state of institutional eating in Episode 16. 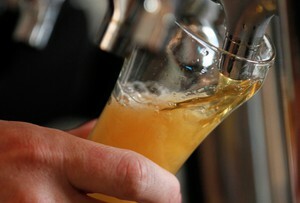 In this Aug. 20, 2012, file photo a brewer pours a sample of beer. America loves its beer and its fine dining, so why is it so hard to find the perfect pairing of the two? So-called “Spon Con” is influencing our food-purchasing decisions. But can we identify it when we see it? Next, cobranding has crossed over from fashion to food, with some bizarre consequences. We’ll debate the merits of Carhartt-brand beer and Tabasco-sauce-flavored Jelly Bellies. And finally, why is it so hard to get a decent meal at a brewpub? Join us as we unravel one of life’s great mysteries on Episode 15. Is the formal dinner party a thing of the past? Do you feel like a deer in the headlights when a grocery-store cashier asks you how your day is going? 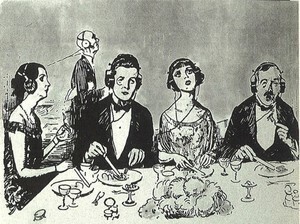 Do you mourn the loss of proper old-fashioned dinner parties? If you’re nodding yes, you’ll love Episode 14. Our panelists tackle these two questions, then consider who, exactly, the “average” home cook is. Does contemporary culinary media serve this demographic? If you’ve ever wondered what it’s like to appear on a culinary reality show, tune into Episode 13 to hear Kyra Bussanich, four-time champion of “Cupcake Wars,” tell all. Next, we debate the impact of freelance workers who camp out at coffee shops for free wi-fi: Are they bringing down the bottom lines of small businesses? Finally, our conversation turns to some of the surprising reasons children should learn how to cook. 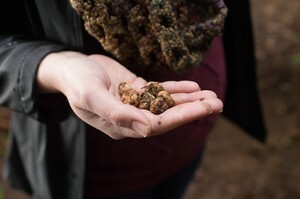 A person holds freshly gathered truffles at the Oregon Truffle Festival in this undated photo. Are four-star restaurants serving narcotics? Truffles are sold on the black market for thousands of dollars per kilo; and according to Italian researchers, these homely little tubers can get you high. We discuss, then turn our attention to the role of music in enhancing the dining experience. 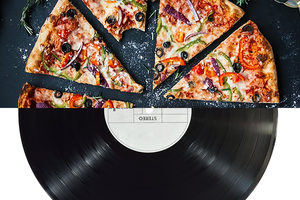 Do you prefer to eat to the sound of silence, soothing violins, or something more sonically dynamic? Finally, microwaves: We think outside the box. Find Snoop and Martha on a television screen near you. 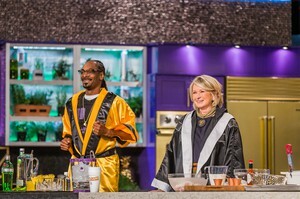 Meet the only cooking show that brings high society together with “high” society: “Martha and Snoop’s Potluck Dinner Party.” Next, get to know the hardline rules restaurants are increasingly laying down for customers to follow. Finally, what’s the appeal of the single-subject cookbook? Savor the conversation as our team of panelists debate these issues, and more. 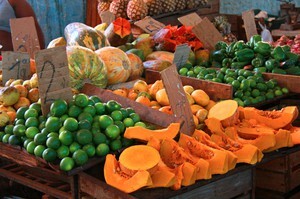 Fresh fruit is on display at a market in Havana, Cuba, in this Jan. 21, 2013, file photo. As American tourists stream into the newly opened nation of Cuba, they’re driven by a desire to capture this magical moment. But how “authentic” is a Cuban dining experience when full-time residents don’t have access to many foods? After a heavy conversation about privation, we lighten the mood with a brief history—and taste—of Cuban rum. 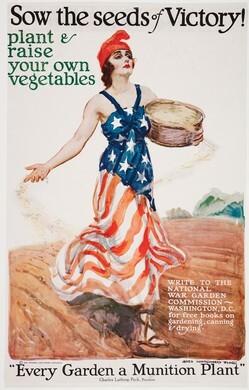 During World War I, the homefront fought with Victory Gardens and Meatless Mondays. Our roundtable of culinary experts pulverize those popular cold-pressed juice cleanses, scan the digital realm for the newest ways to forage for wild edibles, and commemorate the century anniversary of the United States’ involvement the First World War, when the home front fought with Victory Gardens and Meatless Mondays. 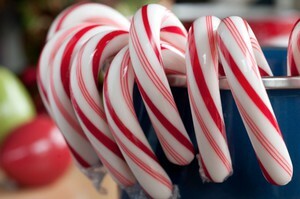 National Candy Cane Day is Dec. 26. Who knew? With the help of Megan Scott, the fresh new face of “The Joy of Cooking,” our panelists question holiday food traditions and decry the scourge of fake food holidays (although National Eggnog Day might get a pass). Finally, they tackle the troubling class divide between foodies and those less fortunate. Poke means “to slice” or “cut crosswise” in Hawaiian. Wild, nutritious, delicious and planet-friendly, sea vegetables are the next big thing. 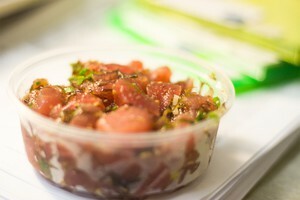 So is poke, the Hawaiian cured-fish dish. But at what cost? We consider both, and weigh in on which culinary trends will take fire in 2017. 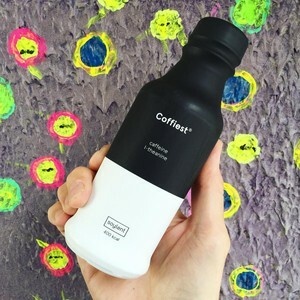 Soylent: Is the future of eating really here? We uncover craft beer’s dirty little secret and examine the cult phenom that is the Yeti cooler company — but not before sipping Soylent, the embattled Silicon Valley food replacement. Taking a picture won’t necessarily make it last longer. In our fifth episode, our panelists investigate the “secret menu” trend that’s happening in national chain restaurants and discuss the significant impact Instagram has had on restaurant menus. In addition, our two professional recipe testers try out Martha Stewart’s new meal-kit delivery service, “Martha & Marley Spoon,” and compare it with the competition. We also discuss the connection between restaurant workers and changing minimum wage laws. In our third episode, we explore the nefarious realm of recipe theft, discuss the recent trend of born-again chefs ditching bacon and embracing health food, and debate the end of tipping as we know it. In our second episode, we kvetch about B.S. food terminology, learn why inherent flavor will save our lives and cast our net around bycatch, the best new thing in seafood. Breakfast … it’s what’s for dinner. Welcome to “The Four Top.” In our debut episode, we talk trash about food waste, unpack the baffling breakfast-ization of dinner and test-drive the hottest dining apps for your phone. Check out the trailer for “The Four Top,” a roundtable of culinary media insiders dishing about today’s food and beverage culture. Hosted by Katherine Cole.